Herbie & The Collective is the name the jazz saxophonist Herbie goes under when recording for Pop-A-Top (it's actually his old nick name from years back, but sometimes spelt Herby). His new track The Price Of Rice is featured on the B Side of the new Pop-A-Top 7" single (PAT009) - and was played on Radio 2! 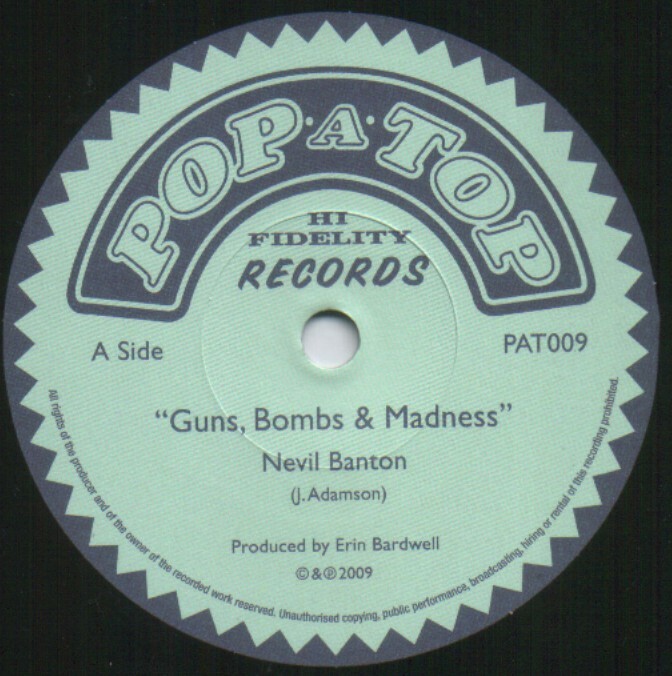 On the A Side sits the vocal cut of the rhythm (Guns, Bombs & Madness by Nevil Banton). Also available as a digital download from i-Tunes through '208 Records'. Official release date is Monday 20th April 2009. Herbie currently resides in new wavers The Killertones (who play a mix of punk, 2 Tone, and 80s alternative), and in them he is known as Herb. He is the uncle of famous DJ Boogaloo Stu (Stuart Browning) from the Destination Anywhere DJ ensemble. On Sunday 27th May 2007 The Fluke by Herbie & The Collective was played on BBC Radio Wiltshire on the Geoff Barker show. This 'radio clip' is available to listen to - go to - www.myspace.com/popatoprecords (and go to the 'stand alone player' on the right hand side of the page and click on 'Radio Clip'). The radio reception wasn't brilliant so you will have to excuse the sound quality. Plenty of surface noise! Excellent stuff. The Fluke by Herbie & The Collective can be found on the Earth Scorchers comp (PATCD06).